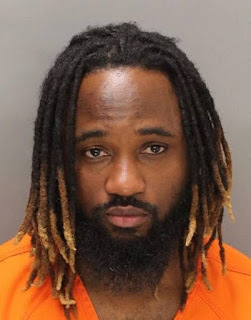 Nigerian rapper, Babalola Falemi, popularly known as Sauce Kid, is to spend the next two years in an American prison for stealing $15,388. Law enforcement agents caught up with him as he wanted to board a flight at Boise Airport in Idaho, United States of America. Falemi was said to have obtained stolen bank card numbers and identified information from their owners. He then encoded the account numbers onto blank plastic cards. Authorities said that after using an automated system to change account PINs, he was able to withdraw cash from bank ATMs and bought merchandise from stores between July 23 and 26, 2016. All of the transactions took place at Boise ATMs owned by Idaho Central Credit Union and at Albertsons stores in Meridian, court documents alleged. Police said that as at the time of his arrest, Sauce Kid was caught with a card-encoding device and about $6,000 cash. According to Idaho Statesman, Sauce Kid was initially charged with conspiracy to commit bank fraud, eight counts each of bank fraud and aggravated identity theft, and possession of 15 or more fraudulent bank cards. He reportedly pleaded guilty to one of the counts of aggravated identity theft. In exchange for his guilty plea, prosecutors dismissed the other counts, reports said. Senior U.S. District Judge, Mr. Edward J. Lodge, also placed him on one year of supervised release after he might have served his prison term.